Chain of Title: What it is, why it matters. What is Chain of Title? Put simply, Chain of Title is the paper trail that establishes a person or company’s right to take proposed action with respect to a piece of property. The “chain” runs from the present owner back to the original owner of the property in question. In the entertainment industries, this means a series of documents that establish that a producer owns or controls the right to produce a film, tv-show, play, musical, or what-have-you based on particular material. Agreements with any additional writers hired to do re-writes, etc. Evidence that the option was properly exercised before its expiration. Contracts with performers authorizing the use of their names, likenesses, biographies, etc., in connection with the exploitation of the project. Releases for the use of photographs, artwork, props, locations, etc., authorizing their use in connection with the production. But I’m self-producing a screenplay I wrote. Do I really need to bother with this? Yes. The fact is, although you certainly can produce a film without a “clean” chain of title, you probably can’t finance it, and you definitely can’t sell it without a properly documented chain-of-title to prove you own the underlying work and the finished product. Film distributors won’t agree to distribute a film without satisfactory documentation. They want to know, among other things, that you have the full and free right to exploit the film, and that they’re not going to get sued because your film incorporates material you didn’t have permission for. Without a clean chain of title, they won’t touch your film. How do I establish a “clean” chain of title? A so-called “clean” chain of title is essentially a timeline, illustrating, through the existence of contracts, releases, and the like, that the work is either 100% original, and that from the moment of its creation, the rights have been properly secured. There can be no unaddressed breaks in the timeline (such as when an option expired, and rights reverted), and from the documents it should be absolutely clear that the producer owns or controls all rights necessary to exploit the film. So, the best approach to chain of title is to start early, thinking about this timeline from the moment an idea germinates. Whether you write a story outline, treatment, screenplay, or whatever, keeping meticulous records and registering copyrights (where appropriate) is useful. If there’s a collaboration between creators, there should be a written agreement delineating the relationship and addressing ownership of the material. If an option is granted, it should be in writing. Likewise when extended or exercised, written proof should be created and placed in a file. So, ultimately, a “Chain of Title” is essentially a file containing, in chronological order, copies of each an every document pertaining to the rights in the material, from inception of the idea, to completion of production and eventual distribution. At each step of the way, documents need to be created and placed in this file to establish a clear picture of who owns what, for how long. The Chain of Title will be needed anytime the project is sold or transferred to a studio, production company or distributor, so it’s important to have it ready to go. The last thing you need is to put a fast-moving project in development on hold while you get your paperwork in order. Do I need an entertainment lawyer to do this? Of course not. 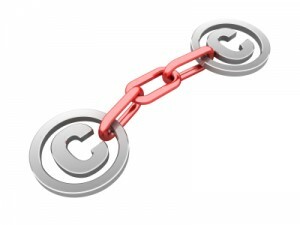 If you’re good at paperwork, organization, and have a clear understanding of copyright law, in all its nuance, then you can, of course, try to assemble your chain of title yourself. But for most producers, the process really is best handled by an experienced entertainment attorney, who can guide you through the process, draft the necessary documents, organize them into a coherent package, ready to present to financiers and distributors upon request. If you’re contemplating a film, theatre, or tv project, you’ll need to assemble a clean chain of title from the outset. Failure to do so can cost time, money, and energy. Too often projects are derailed when clear title to the property in question can’t be established, and financiers or distributors walk away. Contact us at (310) 443-4185 for a consultation, and let us help you establish, maintain, and protect your project’s chain of title. ← Independent Contractor vs. Employee – misclassification can cost entertainment industry employers dearly.